Moggie Minders Cattery is a small boarding cattery in South East London. 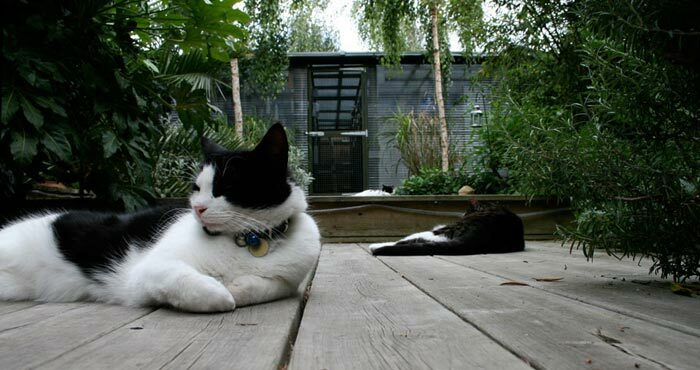 Established in 2002, the cattery consists of 11 chalets and is licensed to accommodate up to 20 cats. The cattery is run under the personal loving care of Rita Hooks and individual needs are catered for. Prior viewing is positively encouraged, please contact us for an appointment. My own background working with cats comes from my sister Anna, who has rescued and re-homed cats for more than 40 years. We were never without cats in our home at any time because, as well as the residents, there were always cats being rescued and re homed. Many of the cats needed medication or special care and through this experience I have gained a vast knowledge of interacting with cats. I am able to administer medication in the form of pills, drops, injections etc. Of course, running a cattery for over 16 years has allowed me to continue to add to my experiences and cats that come to stay here have the benefit of this. 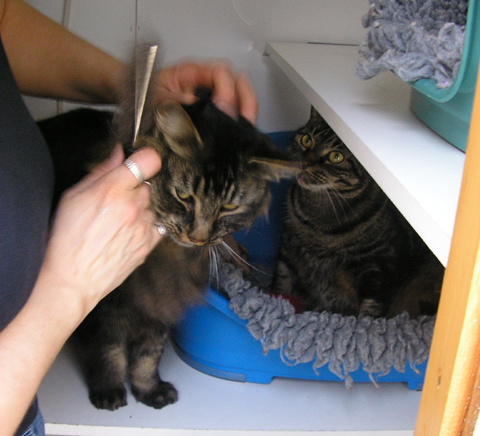 Anna continues to work with rescued cats and has worked with Croydon Animal Samaritans for over 26 years. If you can offer a home to rescued cat from this group, than please click to the link for more information. 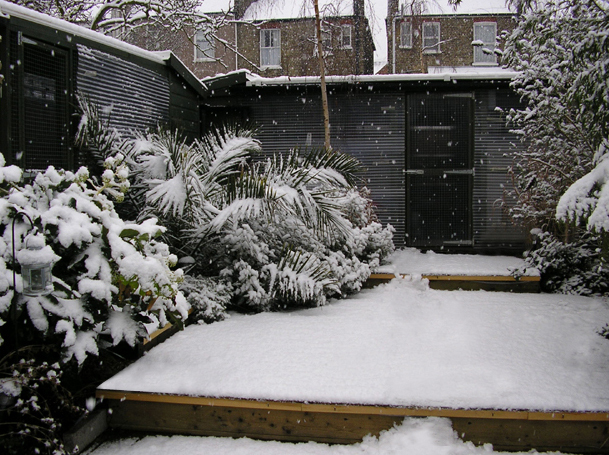 Moggie Minders is licensed and inspected annually by Lewisham Council. 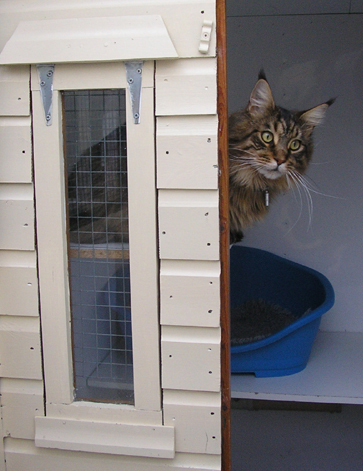 Cats are housed in separate spacious, insulated and individually heated wooden chalets. The purpose built 1.8m (6ft) full height chalets measure 0.9m x 0.9m (3' x 3') with split level shelving and each has its own 1.8m (6ft) run. All chalet runs open onto a safety corridor for the security of your cat. Runs have a cushioned 'flexisoft' floor covering. Each chalet can accommodate up to 2 cats from the same family. For families of larger numbers, runs can be opened up to enable the chalets to become interconnecting and allow more space for your cats. Some cats may find the experience of a cattery to be quite stressful, as a measure to minimise this we use Feliway/Pet remedy spray. From personal experience with our own cats, we find it an effective way to calm the vast majority of stressed cats. Additionally we offer cats valerian sacks/ catnip which can also be effective in calming during their stay. The heating in each insulated chalet is thermostatically controlled and is provided all year round day and night. In addition, on colder nights, cats can be provided with a Snugglesafe heated pad in their bed which will keep them warm and snug for up to 10 hours. For further information on this product click here. Feeding: Adult cats are fed twice daily and older cats and kittens to their own individual requirements. Premium Dry food offered is Royal Canin. Wet foods are a range of pouches eg Felix, Whiskas, Gourmet, etc. We supply all feeding and water bowls. Please note that diets prescribed by your vet will have to be provided by the owner. Beds: Comfortable beds and ‘Vet Bed' fleeces are provided for your cats comfort, but owners may bring their own pets bedding with them if they wish. This can help to settle your cat(s) in. Cleaning: All chalets and runs are thoroughly cleaned and disinfected between occupancies using an animal friendly disinfectant. Cats from the same family sharing a single unit. Cats from the same family sharing two units/double unit. *Prices are valid from April 1st 2019. All prices include food, heating, bedding, litter & pet insurance. Both days of arrival and departure are charged as full days except for collection before 9:30am. Please note that during Christmas, New Year, Easter and Bank Holidays additional charges apply and may require a minimum booking period. Prices include food, heating, bedding, litter and pet insurance. Both days of arrival and departure are charged as full days except for collection before 9:30am. A non refundable deposit is required and payment in full will be made at collection. Except for the Christmas and New Year period, where payment in full is required 6 weeks in advance. Vaccinations - All cats must have a valid certificate of immunisation against Feline Influenza Feline Calici Virus (FCV) & Feline Viral Rhinotracheitis (FVR) and Feline Enteritis Feline Panleukopenia (FIE). All vaccinations need to be boosted annually. Please bring your certificate with you, as your cat cannot be accepted without it. Health - All cats must be neutered. Cats will be examined on arrival and the proprietor reserves the right to refuse admission to any cat showing signs of ill health pending the advice of a veterinary surgeon. Unlike many catteries, we are happy to take in elderly or diabetic cats and we take the greatest care. But we would point our that for some cats coming into a cattery can be a stressful experience. This in turn can have an adverse effect on certain cats especially the elderly, sick or diabetic. Insurance - Cats boarded at the cattery are covered by Pet Plan Insurance. Please note if your cat comes into the cattery with a pre existing condition they will not be covered by this insurance. General - Whilst all possible care and attention will be given, cats are boarded entirely at the owner's risk. The proprietor of the cattery has the owner's authority to the extent the proprietor considers necessary and at the entire cost of the owner to seek treatment by a veterinary practitioner, including visits by such practitioner to the cattery, the administration of medicine, anaesthetic and surgery. If insufficient notice of a cancellation is given the proprietor reserves the right to charge the full boarding fee. All deliveries and collections will be made during our licensed cattery hours. Booking - Early booking is strongly advised particularly for holiday periods. Bookings should be made by telephone or email and confirmed by the booking form which will be sent to you for completion and return with your deposit within 14 days. Please note that the booking is taken as a firm booking and must be cancelled if no longer required. Longer term bookings must be settled by monthly account. Transport - Owners are urged to transport their cats in an adequate secure basket or carrier between home and the cattery. Parking - Please note that Moggie Minders Cattery is situated in a quiet residential road and your consideration when parking would be appreciated. A home feeding service is available. 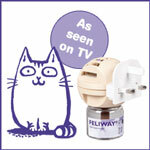 This service offers an alternative to the cattery and allows your cat to be cared for in the comfort of their own home. During a home feed we will feed your cat(s), give them fresh water, clean bowls and litter trays. We recommend a minimum of one visit per day. Please note - A visit will last up to approximately 20 minutes and is not intended to be a cat sitting serivice. Security - Having a home feeder call gives you the extra advantage of your house security being checked daily when you're not there. We also recommend using timers for lights and leaving the radio on to keep your cat company. Safety - If you are worried that your cat will wander away whilst you are not there, we recommend keeping them secure and restricting their outside access but allowing them the run of your home. This keeps them secure and gives peace of mind to some owners who have tried other home feeding services only to find their cat has been roaming looking for their owner or feeding in their neighbours homes! Please note that this is a personal choice for any cat owner, as you know your cat best and we will always be happy to follow your decision. Health - If your cat becomes ill while you are away we will take your cat to your vet to seek veterinary care. The owner will be liable for the entire cost of treatment by a veterinary practictioner. Home feeding daily rates - Prices start from £11 per visit. Owners are required to supply food and litter. Please telephone us on 020 8697 3217 to see if we cover your area. There are currently 4 feeders available, you will be assigned a feeder who is nearest to you. Please note that rates at Christmas, Easter, New Year and all bank holidays will have additional charges. Train Stations : Catford, Catford Bridge, Bellingham and Hither Green stations are all within reasonable distance from the cattery. Photographs of cats on this website are displayed with the kind permission of their owner's. Moggie Minders Cattery is a supporter of Croydon Animal Samaritans (Registration No. 1067498), if you can give a home to a rescued cat please click the banner below.